"OKLAHOMA!" Returns to Cinema Screens for 60th Anniversary! 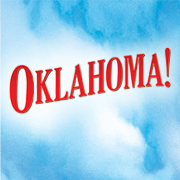 “OKLAHOMA!” RETURNS TO CINEMA SCREENS FULLY RESTORED FOR 60TH ANNIVERSARY! The Academy Award®-winning Hollywood musical “Oklahoma!” returns to theaters nationwide for the first time in wide release in 60 years fully restored and with an extended pre-show featurette featuring Okie native Kristin Chenoweth singing songs from the classic musical based on the Richard Rodgers and Oscar Hammerstein II stage production. 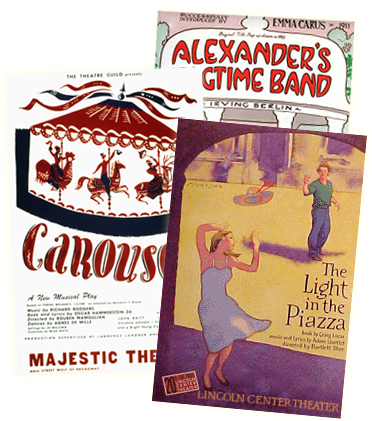 The limited theatrical re-release, a partnership between BY Experience and Rodgers & Hammerstein, begins November 1st with more than 800 screenings nationwide. 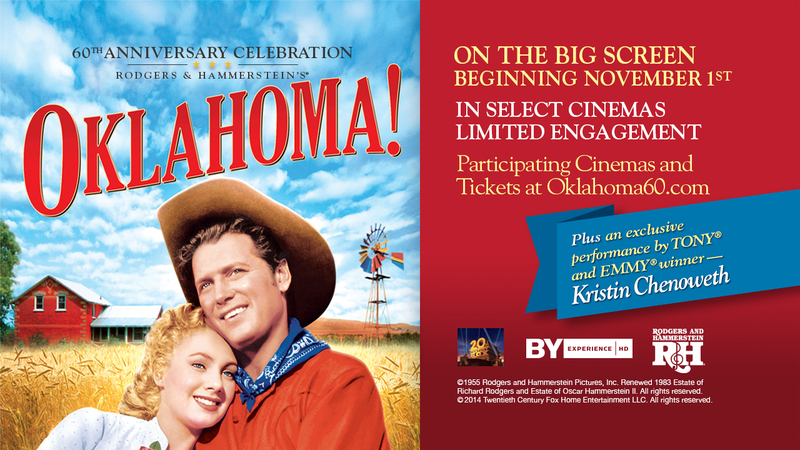 Tickets for the “Oklahoma!” special event are available now at participating theater box offices and online at www.Oklahoma60.com.